Ora Anna Hinshaw1,2,3,4 [Anna Hinshaw5,6, Orie Hinshaw7,8,9]. Born Jun 20 18671,2,3,4,8,9 [May - 186810], Douglas County, Kansas1,2,3,4,8,9. White, Everett, head-of-household, age 39, born June 1861 in Indiana; parents born in Indiana; married 9 years; occupation: farmer; owned farm (free). White, Orrie A., wife, age 32, born May 1868 in Kansas; parents born in Indiana; married 9 years; no children; occupation: school teacher. 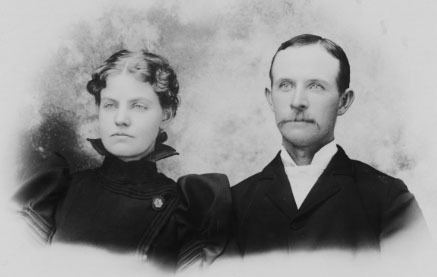 White, Nathan, father, age 65, born June 1835 in Indiana; father born in Indiana; mother born in Kansas; married 41 years. 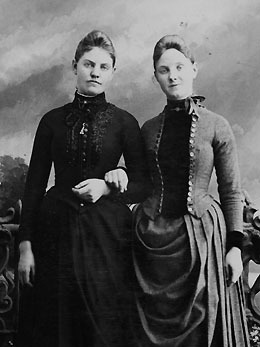 White, Elizabeth, mother, age 62, born June 1837 in Indiana; father born in Indiana; mother born in Kansas; married 41 years; 3 children, 3 living. White, Everett, roomer, age 58, born in Indiana; parents born in Indiana; occupation: agent, real estate. White, Ora, roomer, age 52, born in Kansas; parents born in North Carolina; occupation: agent, real estate. White, William E., head-of-household, age 68, born in Indiana; parents born in Indiana; first married at age 29 [unclear]; owned home ($3000 value); no radio in home; occupation: farmer, general farm; not a war veteran. White, Orie H. [initial unclear], wife, age 62, born in Kansas; parents born in North Carolina; first married at age 23; occupation: none. Ora Anna Hinshaw died Jan 26 19447 [Jan 29 19448], Portland County, Oregon7; buried Brouilette Section, 16, 3, Friends Cemetery, Everest Street, Newberg, Yamhill County, Oregon7. The family bible of Isaac Hinshaw. 1920 census, Newberg, Yamhill County, Oregon; roll T625-1506, ED 442, page 14B, line #80, dwelling #160, family #162. 1870 census, Willow Springs, Eudora Township, Douglas County, Kansas; page 245, line #37, dwelling #85, family #86. 1930 census, 4th Ward, Newberg, Yamhill County, Oregon; roll T626-1958, ED 6, page 5B, line #86, dwelling #130, family #138. 1900 census, Moro Precinct, Sherman County, Oregon; roll T623-1351, ED 36, page 7A, line #41, dwelling #169, family #169.
published 1904 by Interstate Publishing Company.